Note from Yowbarb: I don't claim to be an expert on cranberries. I sure do not think I could grow them, but I do know from personal experience, my kidneys work better when I drink cranberry juice. I also "sense" an antibacterial property and and I seem to feel better in the digestive area. I am not a purist. I drink inexpensive generic cranberry-cherry juice from WalMart, which does contain sugar. No high fructose corn syrup, no corn syrup, no colors etc. It is delicious, sugar makes it go down easier, and even with sugar it helps me a lot. Years ago I shared a Metrolink train ride with a gal (met her on the train and we yakked nonstop between L.A. and Riverside.) She was African-American and had a number of complex health problems, like I did. She said, when she drinks the cranberry juice, her lupus goes into remission!! This topic is about the use of cranberries, in any form, anything you know about them or how to use. Please do not be shy, post your opinions, your recipes.. The health benefits of cranberry juice include relief from urinary tract infection (UTI), respiratory disorders, kidney stones, cancer, and heart diseases. It is also beneficial in preventing stomach disorders and diabetes, as well as gum diseases caused by dental plaque. Phytonutrients, which are naturally derived plant compounds, are present in cranberries and have been found to prevent a wide range of health problems. That is amazing how that woman's lupus went into remission when she would drink cranberry juice! Thanks for posting both of these which I apparently missed. Yes, that was wonderful yakking with her on the Metrolink. L.A. County a big area, never saw her again. He never officially did get diagnosed with it and did survive to almost 86 years old so he did pretty well. He and Mother used to take various extracts, Coenzyme Q10 etc. At dinner tomorrow, when you’re gathered around giving thanks with family and friends, if someone offers you cranberry sauce, or a slice of cranberry bread, or cranberry ANYthing–don’t even think about it. I know you’ve probably got many things to do and places to be on this holiday getaway-day, so I’ll get right to the heart of it: The cranberry is the unsung hero of Thanksgiving dinner. 1 Cranberries contain plenty of vitamin C–exactly what you need as the busy socializing of the holiday season gets underway. 3 The cranberry is an excellent source of resveratrol, the anti-inflammatory compound that’s been shown to protect heart and nerve cells while also assisting in DNA repair — one of the keys to fighting cancer. 4 And speaking of cancer, cranberry bioflavonoids have been linked to prevention of several cancers, including breast, prostate, colon and lung. In fact, scientists have discovered that cranberry components play a role in no less than five different anti-cancer mechanisms. 5 Cranberries help increase HDL cholesterol. 6 Cranberry juice helps prevent gum disease by killing bacteria that promotes dental plaque. 7 Cranberry juice helps prevent Helicobacter pylori from attaching to the gastric wall. H. pylori is the cause of nearly all gastric ulcers and also contributes to food allergies. 8 As many women know, cranberry juice helps clear up urinary tract infections. But a New England Journal of Medicine study shows that cranberry juice can actually prevent the infection in the first place. It stops E. coli from attaching to the bladder wall. 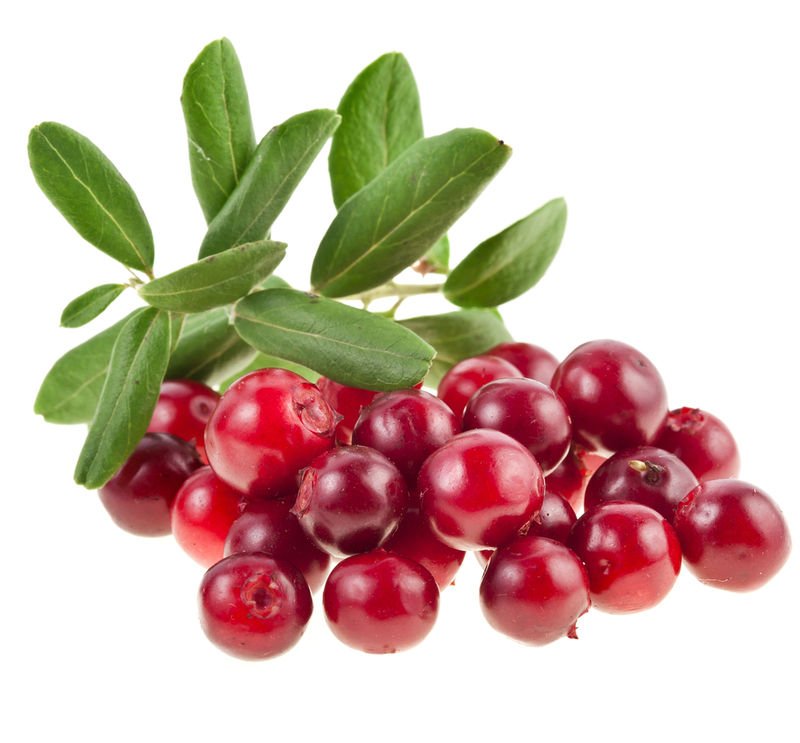 9 Cranberries reduce risk of kidney stone formation. 10 Cranberries relieve asthma by dilating the bronchial tubes. And here’s a final bonus reason to enjoy cranberries: They taste great. Well, as long as you like tart, of course. And that can be a problem because sugar is often used to offset tartness. It’s especially a problem for those who use cranberry juice to fight off urinary tract infection because sugar actually feeds the infection. There you have it: 10-plus-one reasons to indulge yourself when the cranberry sauce is passed around the table tomorrow. Am growing my own mountain cranberries (as opposed to bog), and looking forward to making jam out of them this coming autumn. The jam can be used on English muffins, meats, crepes, etc. R.R. wow! PLS post how you are doing this. This is such valuable info! Agree with Barb--keep us posted on your cranberry saga. NIH is saying cranberry juice does suppress the h.pylori infection, in a fair amount of the population. This is good... H. pylori causes the ulcers. Regular consumption of cranberry juice can suppress H. pylori infection in endemically afflicted populations"